Do you know Tempranillo Blanco? There are not too many in the world of wine who know about Tempranillo Blanco. That is because Tempranillo Blanco is a recent grape. In 1995 a vineyard farmer spotted very different grape clusters in his Tempranillo vineyard. One of the vines had shoots with white grapes. The University of Rioja Enology department was summoned. The university tested the vines and grapes and determined this was the result of a natural genetic mutation. 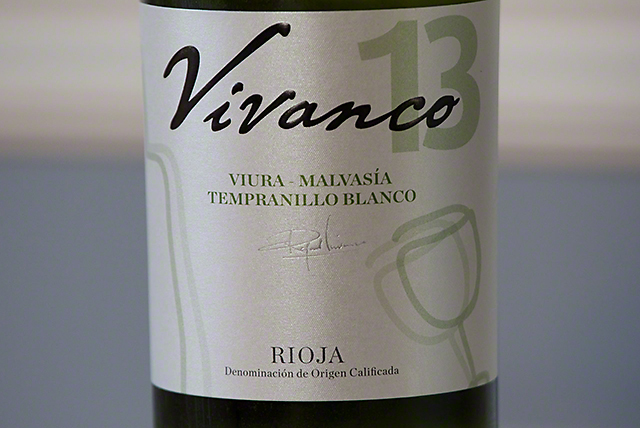 In 2008 the grape received its official authorization and the name Tempranillo Blanco. Today there are many small plots of Tempranillo Blanco in Spain. In this particular bottle of white wine in the photo, there is a small amount of Tempranillo Blanco. It adds acidity and a floral component to this blend. I purchased this bottle of wine from KL Wines in San Francisco. The price was $12.99. This is a great price for a white wine blend from the Rioja wine region of Spain. The producer is Bodegas Vivanco. Bodegas Vivanco has about 30 acres planted with Tempranillo Blanco. Try this wine with any type of seafood Spanish Tapas dish. I made up a batch of these Piquillo Peppers stuffed with a tuna salad mix. 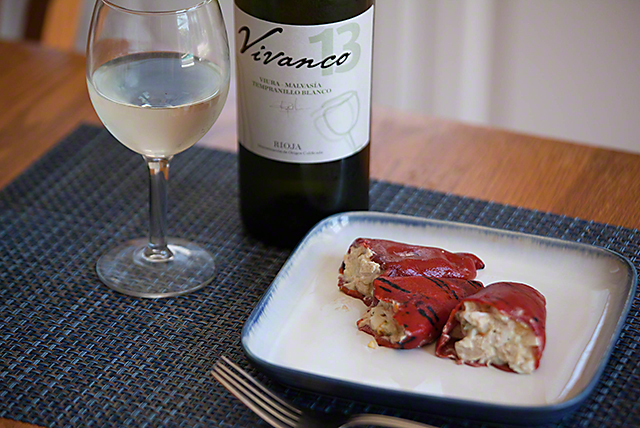 The Piquillo Tapas and the Rioja white wine were a perfect match.